When the floods came the waters rose up above my ankles; wheels of cars took on half-moon shapes; footballs floated over on typically dusty pitches, their goalposts submerged. Our adobe homes no longer provided a safe-haven after a week of unprecedented rainfall reduced them to mud. 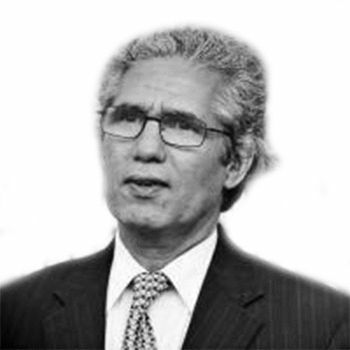 Our hospitals, our businesses, our schools -- all collapsed under the water's brute force. My people, the Saharawi, have a proverb: "The dawn is always clear in the desert." But on 16 October 2015 the dawn brought some of the worst rainfall we have seen since our exile to refugee camps began over forty years ago. The morning after 25,000 men, women and children moved in procession to higher ground. Extreme weather is not unique to our refugee camps. Hurricanes devastate the southeastern coast of the United States, rising tides wash away the sea walls of small island nations, and typhoons take lives across Southeast Asia. Climate change does not respect borders; it does not discriminate across ethnicity, nationality, or religion -- it threatens the whole of mankind. My people are no different; we have not been spared the myriad costs of climate change. Yet as leaders gathered for the latest round of UN climate talks in Marrakesh we were excluded. This is because Morocco, the host of this year's UN climate conference, known as COP22, is illegally occupying my country, Western Sahara. 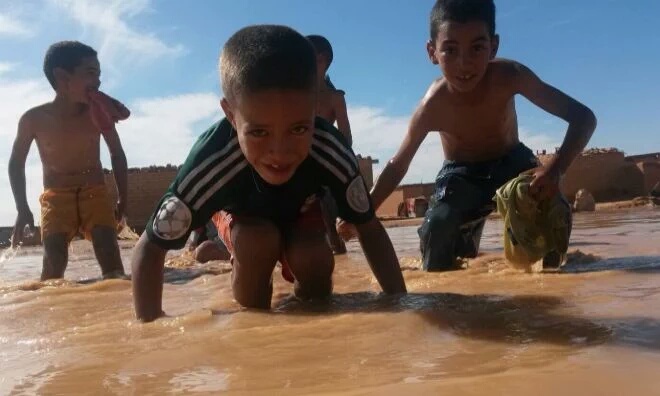 Two weeks ago the floods returned to the Sahara, and this time to the occupied territory, where Saharawi had to contend with the devastating impact of climate change while under Moroccan subjugation. Climate Justice for Western Sahara from Western Sahara on Vimeo. Since 1975, when Morocco invaded Western Sahara, 165,000 Saharawi have been living in exile in the arid desert of Tindouf in southwest Algeria. In 1991, as part of a United Nations-brokered ceasefire that ended our war with Morocco, the United Nations Mission for the Referendum in Western Sahara, known as "MINURSO" was established. Due to UN inaction and Moroccan intransigence, the Saharawi people still await our long-promised referendum. Despite an opinion from the International Court of Justice in 1975 that Morocco has no valid claim to the territory of Western Sahara, Morocco has illegally occupied us for more than forty years. My people live divided -- between life under brutal occupation and life as refugees in exile -- by a 2,700-kilometer sand "berm" that is littered with landmines and manned by tens of thousands of Moroccan troops. Morocco's suppression of Saharawi has broader effects beyond the occupation and into the global work on climate change. Just this month, Moroccan security forces detained and later deported the African Union Pan-African Parliament Vice-President Sueilma Beirouk. Ms Beriouk is a Saharawi. She was sent to COP22 to carry out her duties on behalf of the African Union. Morocco single-handedly denied a legitimate African voice and a representative of the African Union from articulating the continent's position on climate change. Despite its claim of green credentials, Morocco's actions show otherwise. Morocco actively grants new oil exploration contracts for multinational corporations to illegally drill on- and off-shore in Western Sahara. Much of Morocco's internationally applauded green energy development is taking place -- illegally -- in Western Sahara, without the consent of its people. This violates international law as asserted in the UN Legal Opinion of 2002, which states that any exploration of natural resources in Western Sahara must be in the interests and wishes of the Saharawi people. The continued exploitation of Western Sahara's natural resources further entrenches Morocco's illegal occupation. An incredibly important responsibility has been entrusted to Morocco as the President and host of this year's UN climate conference. Climate change poses the most significant challenge of our time -- and we must work together across the globe to urgently address this issue. And more importantly, the United Nations and the international climate change community cannot forget that issue of climate change is an issue of social justice. Morocco is illegally exploiting natural resources and violating human rights mere miles away from the convention center where COP22 will take place. My people have trusted the United Nations with our future on the understanding that it is its duty -- legal and moral -- to uphold the founding principles of the UN Charter "to reaffirm faith in fundamental human rights, in the dignity and worth of the human person, in the equal rights of men and women and of nations large and small." As we once again trust the United Nations with our future -- our climate future -- we hope that the international community will hold Morocco accountable for the grave injustices it continues to perpetrate against the people of Western Sahara. We are committed to active international cooperation, to deal with the climate crisis, without compromising our commitment to human rights and international law. Can Morocco say the same?